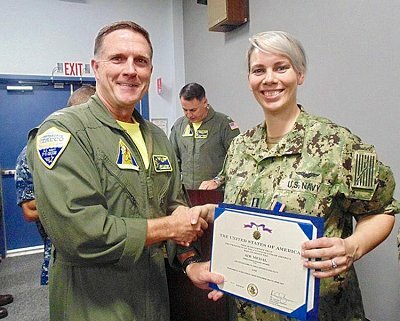 U.S. Navy Lt. Emily S. Cona, a Smethport native, received the Air Medal, First Strike/Flight Award, on July 3 for her commendable actions while serving in flight operations. 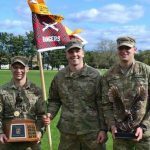 Cona, 32, a naval flight officer, graduated from Smethport Area High School in 2004. 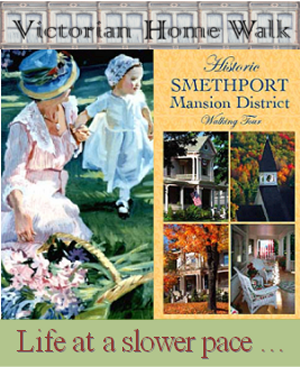 She is the daughter of Mary Anne Knight, Smethport, and Terry Knight, a member of the U.S. Navy Reserve, also of Smethport. “Emily decided to join the Navy as a way to follow and surpass in her father’s footsteps,” Mary Anne Knight said.